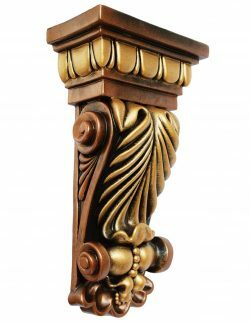 In architecture a corbel or console is a structural piece of stone, wood or metal jutting from a wall to carry a superincumbent weight, a type of bracket. 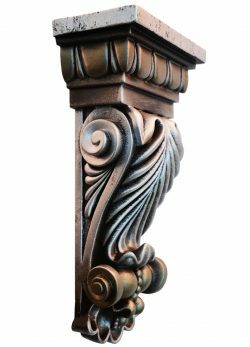 A corbel is a solid piece of material in the wall, whereas a console is apiece applied to the structure. 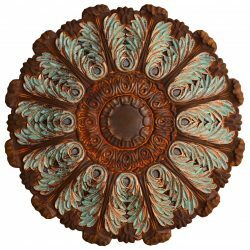 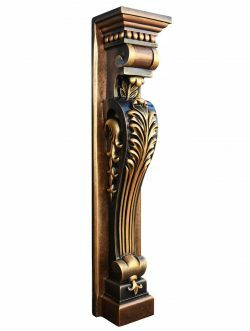 A piece of timber projecting in the same way was called a “tassel” or a “bragger” in the UK. 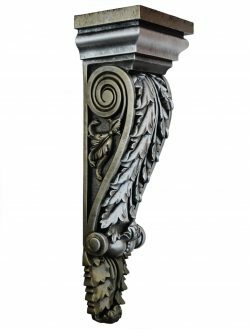 The technique of corbelling, where rows of corbels deeply keyed inside a wall support a projecting wall or parapet, has been used since Neolithic, or New Stone Age, times. 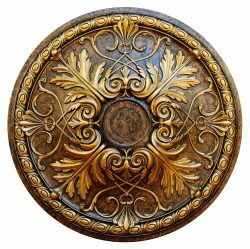 It is common in Medieval architecture and in the Scottish baronial style as well as in the Classical architectural vocabulary, such as the modillions of a Corinthian cornice and in ancient Chinese architecture. 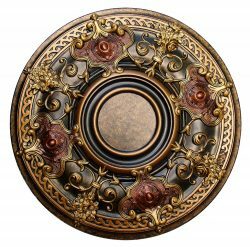 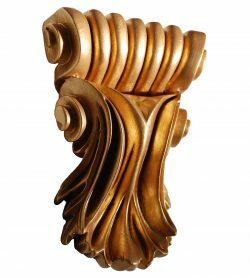 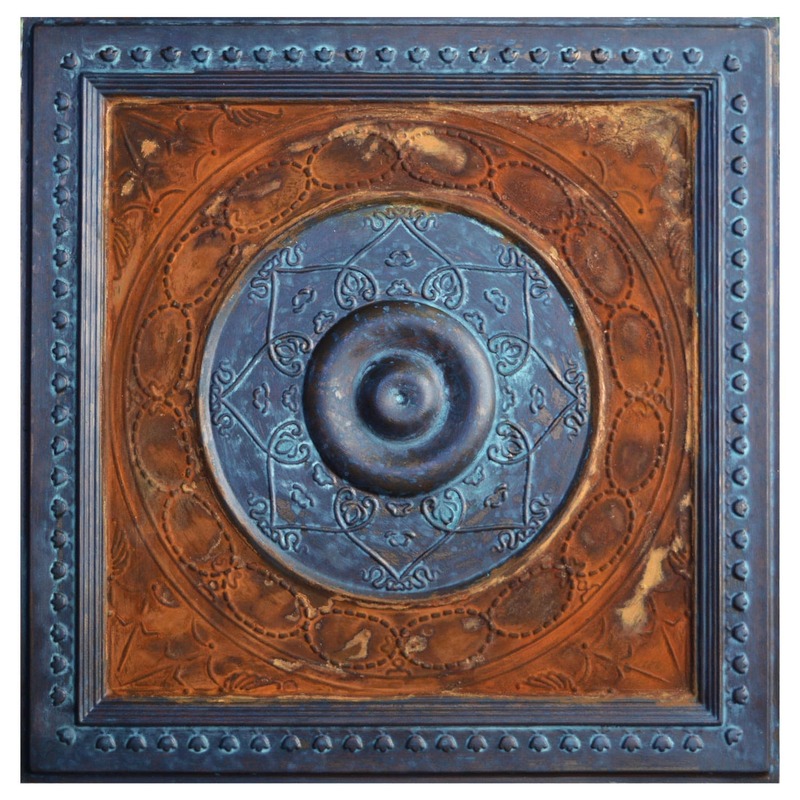 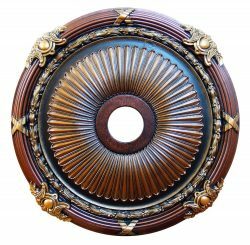 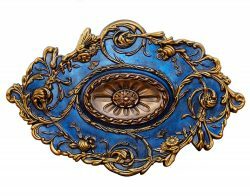 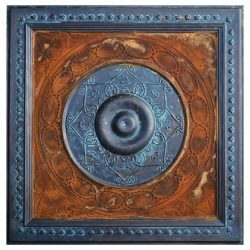 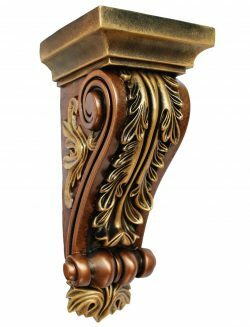 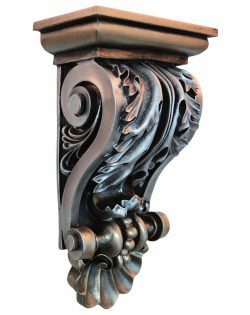 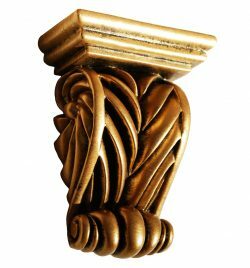 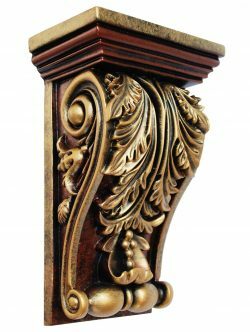 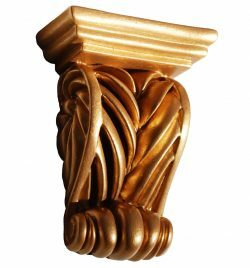 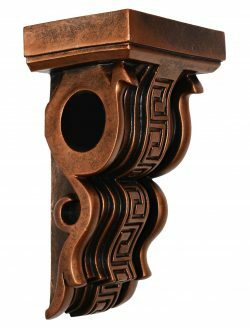 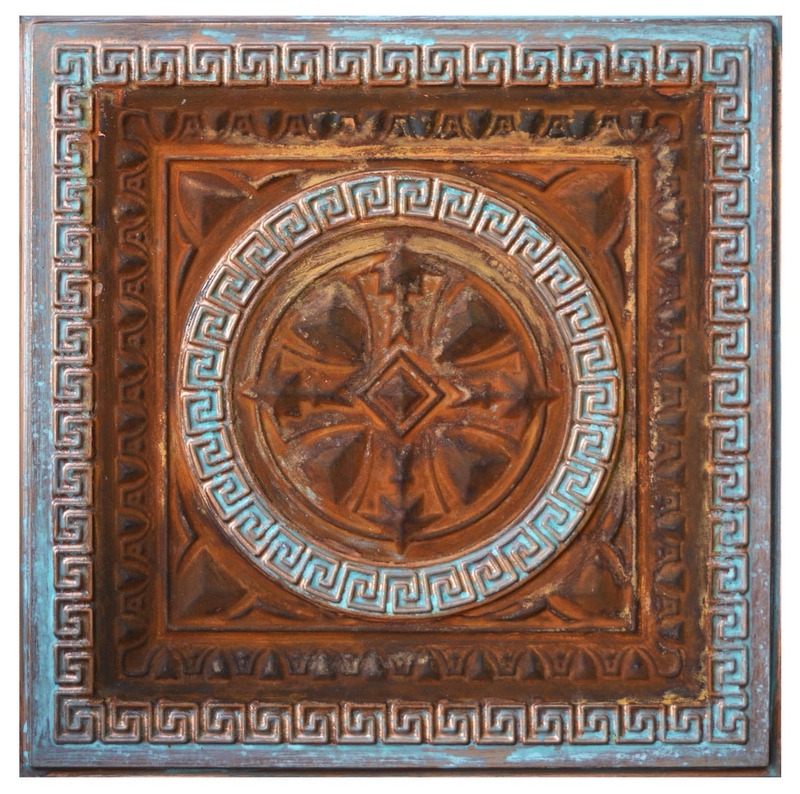 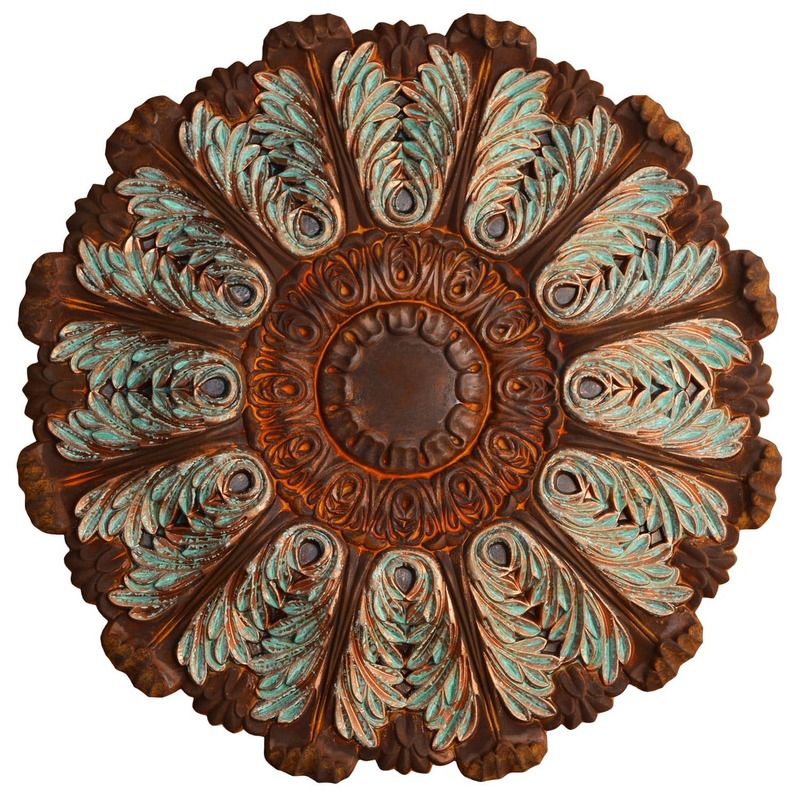 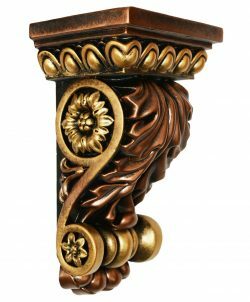 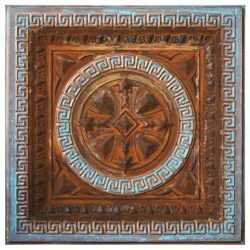 Our hand painted corbels represents the high-end complements of these beautiful architectural accents, our unique decorative finishes will make your corbels a real piece of art in your decoration project. 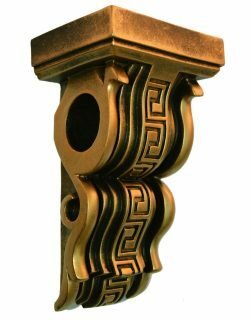 Any Height:12-1/4 in.14-1/2 in.17-1/2 in.3-3/4 in.41-1/4 in.5-1/4 in.8-1/2 in.8-1/4 in.8-3/4 in.9-7/8 in. 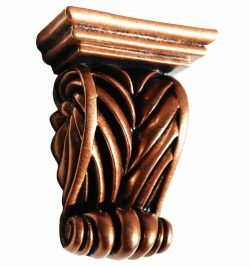 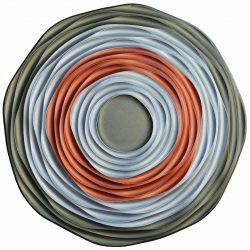 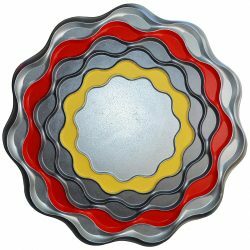 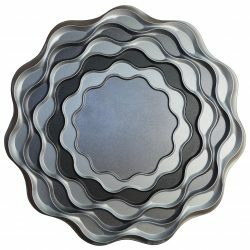 Any Width:2-5/8 in.4 in.5 in.5-1/4 in.5-1/8 in.5-13/16 in.7-3/4 in.8 in.